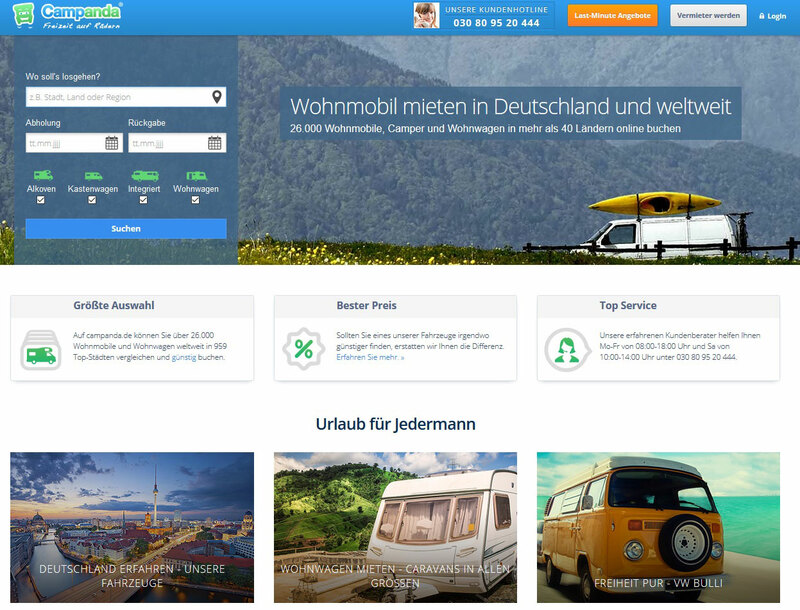 Berlin, January 10, 2017 – Campanda, the international platform for renting mobile homes and caravans, releases the outcome of the Series-B investment round. Under the direction of the daughter company of the tire manufacturer Michelin, Michelin Travel Partner, is investing ten million euro in the Berlin startup for further growth. Next to Michelin, all previous investors took part in the round: Accel, Idinvest Partners together with Ecomobility Ventures, Groupe Arnault, Ringier Digital Ventures, b-to-v Partners, Atlantic Labs. Campanda is the world’s largest marketplace for RV bookings. In 44 countries and six languages, Campanda provides its users the easy and comfortable possibility to rent RVs in the country of your destination. Not only commercial RV companies have the opportunity to rent out their caravans on the platform, but recently also private vehicle owners. With the latest capital injection the total investment for Campanda rises up to 17 million Euros. After several Angel investments to the start of the marketplace in 2013, Campanda received EUR 5 million in May 2015 under the leadership of Idinvest Partners together with Ecomobility Ventures. Campanda has become the world’s largest online platform for renting RVs since its founding in 2013. Currently available more than 26,258 vehicles are available in over 42 countries. The offer ranges from Compact box-wagon to the luxurious and fully integrated premium vehicles. On www.campanda.de, customers have the opportunity to rent RVs and rent out their own vehicles. Campanda works with a variety commercial providers and private RV owners. At one glance, the user has an overview of all vacancies with information on the price and equipment of the RV. Interested users are able to book the desired campers directly on Campanda.de with best price guaranteed. Local Campanda websites exist in eight Countries and in six languages so far ​​- German, English (US / UK), Italian, Spanish and French. Privat users can advertise their own camper on www.campanda.com/rent-your-rv free of charge and thus profit from the money for the time the customers don’t use the RV themselves.